Look at drainage issues as design opportunities. With professional design and installation, all overseen by a dedicated SLM project manager, today’s slope can be tomorrow’s dreamscape. Getting good grades has never been more important. For starters, poor drainage can cause standing water in your basement, and standing water in your yard. And no one needs a dirty house dog or a mecca for mosquitoes. Soil erosion can be a slippery slope, and not just in Wichita but throughout the Midwest. 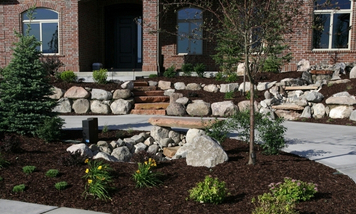 To keep your yard from running away, underground drainage such as a dry creek bed may be the answer. 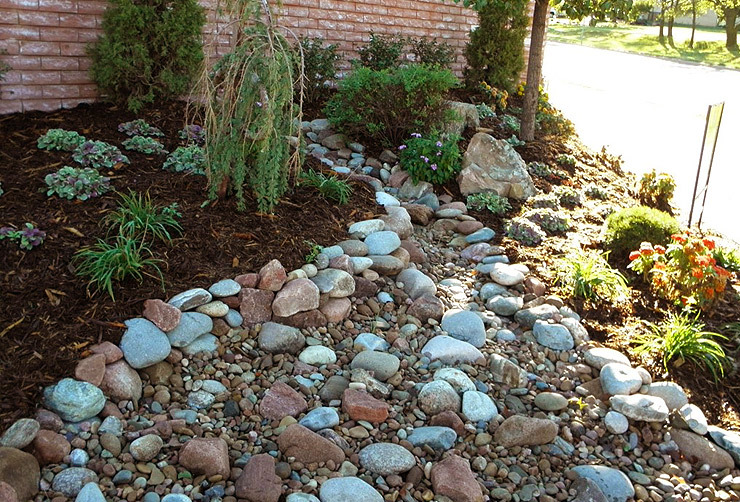 This river rock and boulder feature is both functional and attractive, so you can send your troubles downstream in style! Tired of a swamp for a flower bed? Give your marsh a makeover. 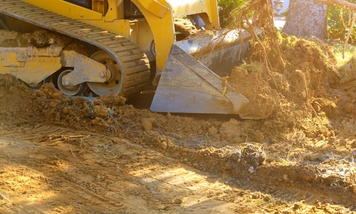 Knowing the current characteristics of your “area of opportunity,” one of our Professional Landscape Design Team members can design and recommend the perfect drainage solution. The byproduct? It’ll also look fabulous.